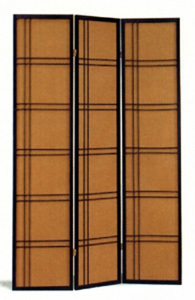 Room Dividers. Three panel folding framed screen in black and matching dark orange color finish excellent crafted perfect for your living room. The dimensions are-17-1/4 In. is each panel and the height is 70 In. (H).